As a huge fan of 1960s mod style clothing you may remember my last couple of blog posts featuring B&B clothing (here & here) so I am finally featuring a dress from this new favourite brand of mine. I was a little unsure as of how I wanted to style this dress at first and then I decided to dress it up for an evening look. This is such a cute LBD and such a great lightweight design for summer. I am so excited for the new collection which should launch soon, I believe that some pieces have already hit the store! I'm wearing a size UK8, which is my usual Collectif Clothing size. B&B tends to run a bit small, however this particular design does have a bit more space. I will most likely stick to size UK10 as I have a range of clothing from B&B and this fits best. Another note about this dress is that it has total Megan Zou Bisou Bisou vibes from Mad Men! 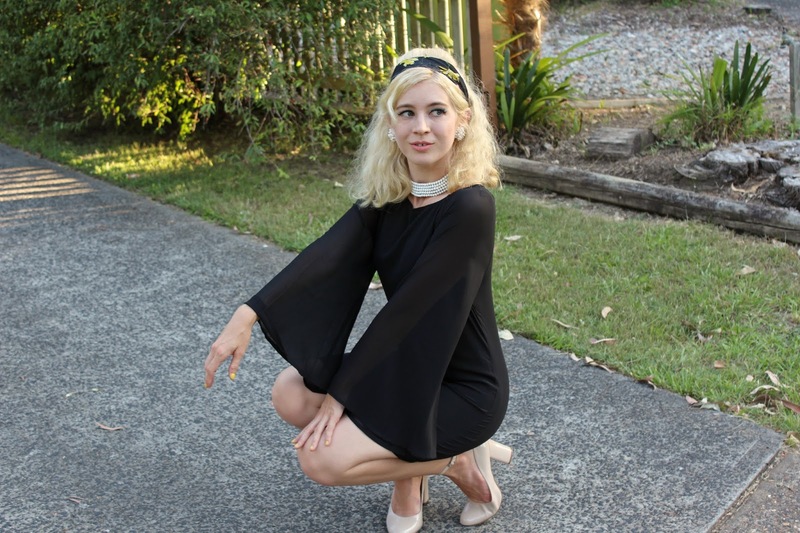 I'm continuing to add more 60s mod clothing to my wardrobe as it's just so fun to wear and it can be worn with ease. I don't always go full on with the mod make-up if I'm having a super casual day but for some looks I can't help it, that goes with most eras... I really enjoy the different styling techniques that go into different looks. Funny you should say that about Megan Zou Bisou Bisou. My first thought seeing this post was that you look like a movie star from Mad Men! You look so gorgeous in this outfit! I was totally getting Megan vibes from this dress too! Actually I felt that way with the black dress you wore on Halloween too, I was going to buy that dress and instantly thought of her. You suit the 60s mod style so well! It's amazing how you suit both 50s and 60s so well! You have done a fab job of dressing up this simple dress and adding drama and glamour to the outfit. The makeup is perfect and you rock the look flawlessly! I love your eye make up! So gorgeous! That dress is adorable, I love the sleeves. This is all kinds of charming! 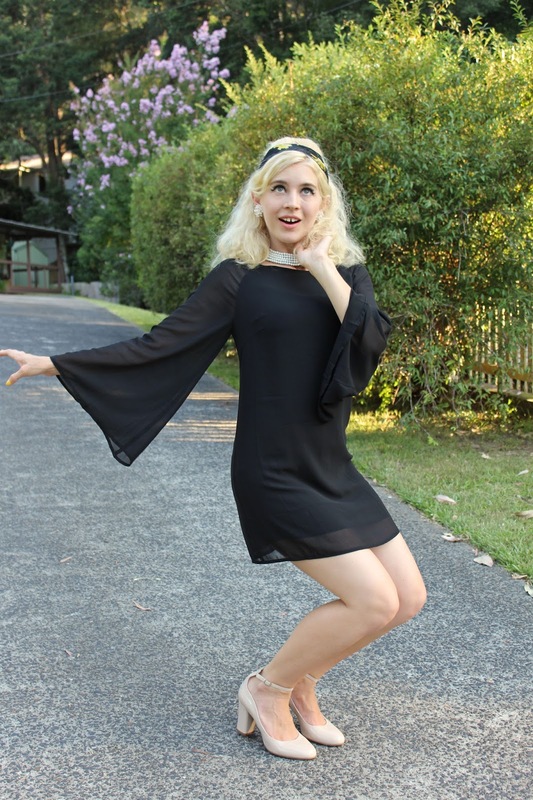 What a fun, flirty, delightfully cool sixties look! makeup for a little black dress?